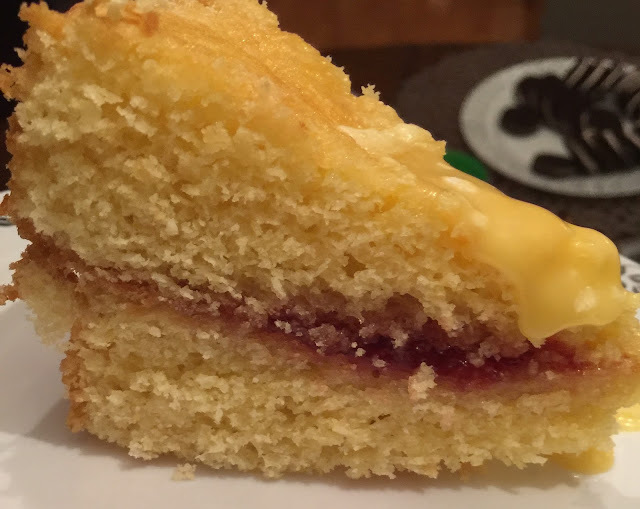 While the concept of a Victoria Sandwich (also called Victoria Sponge) cake is not popular in the United States, I have seen these delectable cakes offered for sale at coffee shops, tea rooms, bakeries, and restaurants throughout the UK. After trying one and finding it tasty and moist, I decided I needed to learn about their history and, of course, how to make one! The first thing I learned is that despite that this cake is sometimes called Victoria Sponge, it is not actually a sponge cake. It is made with the cream cake-making method. So what is the difference? 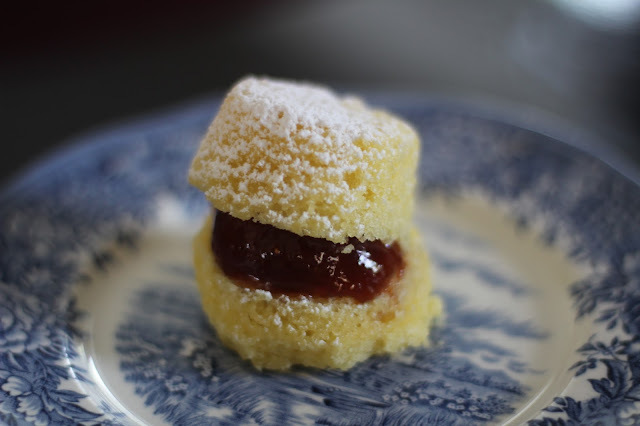 Sponge cakes are made by the whisking method where lengthy whisking of eggs and sugar is used to incorporate lots of tiny air bubbles into the batter. Victoria Sandwich is not made in this way, but Savoy or Genoise sponge cakes are indeed true sponge cakes. Instead, Victoria Sandwich is made with a creaming method. With this method, sugar is mixed (creamed together) with the fat (butter in this case) to create a light and fluffy aerated mixture. Eggs are then beaten into the batter one at a time. Finally, flour and baking powder are folded in. Variations of this method can also be used. There is no definitive answer to this question. I have read that as an adult, Queen Victoria became a big fan of cakes because she was denied them throughout her childhood. I have also read that these types of light and airy cakes were popular with children in the nursery long before Queen Victoria took a fancy to them because they were made without the choking hazards of seeds, nuts and fruits, which were very popular with adult cake eaters. While an inventory of cake recipes in the 18th and 19th centuries does, indeed, confirm that cakes were universally filled with these choking hazards, there is not absolute proof for this theory. I would like to know more about the history of this cake's name and will keep searching for answers . . . but until I find them you can enjoy a slice of this historic recipe by using a recipe for Victoria Sandwich by Britain's Queen of Cakes, Mary Berry. Or, click here for a version that makes beautiful mini cakes. Note: I made a gluten free variation of Mary Berry's recipe and filled half with lemon curd and half with strawberry jam. Use Your Own Gluten Free Self-Raising (Rising) Flour to Replace the Wheat Self Raising Flour. The Penguin Companion to Food by Alan Davidson, New York, 2002. Larousse Gastronomique, Clarkson Potter Publishers, New York, 2001.
strawberry jam and lemon curd!